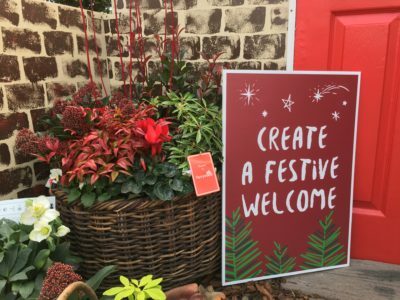 Gardening Tips > November > Create a Festive Welcome! 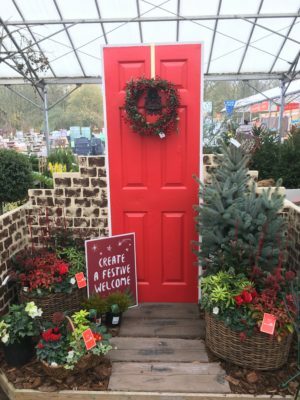 Creating a memorable Christmas home doesn’t have to be restricted to the interior of the house, for that extra wow factor, create a festive welcome that starts from your front door. 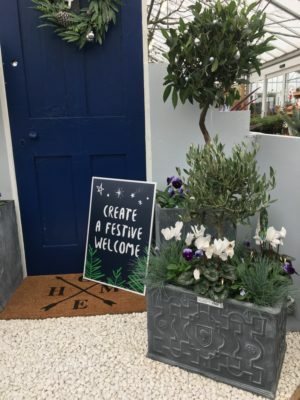 Styling your front entrance and turning a plain front door into something eye-catching, will not only reward you with that warm fuzzy feeling each time you leave and return to your house, but it will also impress your guests and be a talking-point for the neighbours! Plus, you don’t have to spend a lot of money to create something beautiful. 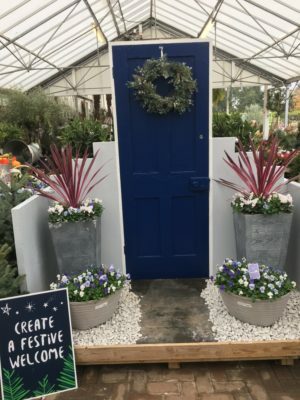 Hanging a wreath is an easy way to add some interest but for extra impact a potted container filled with a mix of mini evergreen shrubs, grasses and vibrant seasonal bedding will look good right through the festive season until spring. 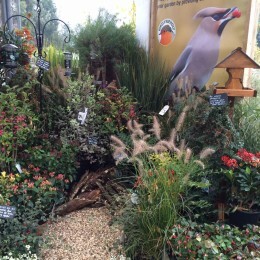 At that point you can turn your container into a spring/summer display by simply retaining the evergreen plants and refreshing the bedding. 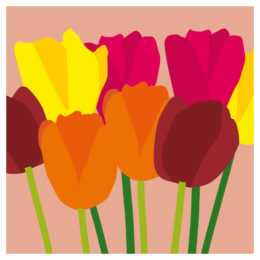 Express your own personal style by opting for either a traditional or more modern display. 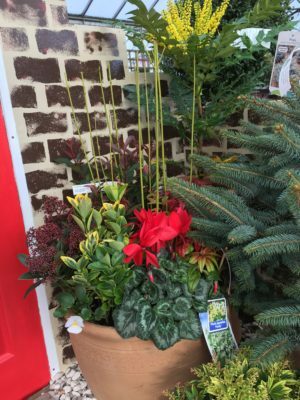 Terracotta pots, baskets, and wooden containers are great for creating a more traditional feel – the vibrant stems of Cornus look great alongside compact evergreen shrubs like Nandina, Pieris, Skimmia and Euonymus combined with vivid Cyclamen and colourful pansies. A pair of metal or ceramic containers placed symmetrically either side of a door will achieve a more modern feel. Phormium grasses make a dramatic statement or a pair of olive trees or bay tree spirals look stunning adorned with warm twinkly fairy lights. Under plant with cyclamen, pansies and viola in cool whites and blues for that extra modern twist. 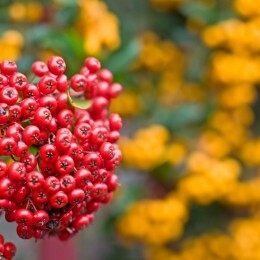 All these ideas are easy to achieve and maintain but will give your home that special wow factor this Christmas. 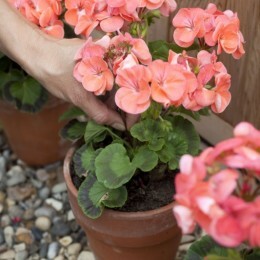 If you are short of time, or you’d just like us to manage the planting of your baskets and containers, our Perrywood basket and container refill service is very popular. 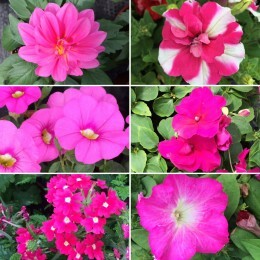 We will refill with our very own Perrywood Grown bedding plants which will extend the colour in your garden right through the winter months.